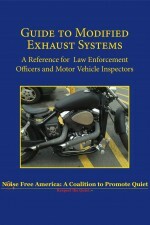 Guide to Modified Exhaust Systems includes numerous photographs to make it easy to visually identify this illegal equipment. This slim, portable manual should be of great interest to law enforcement officials, motor vehicle inspectors, prosecutors, and legislators, as well as all citizens who desire peace and quiet. 83 color photographs. 98 pages. Copyright 2017. Law enforcement organizations interested in bulk purchases or custom covers of this product, please email info@quilldriverbooks.com or call 1-800-345-4447 for information. Writing Flash is a fast and informative guide for writers who want to develop their skills in one of fiction’s most challenging genres. Acclaimed creative writing teacher Fred D. White gives a fast-paced and in-depth introduction to the fascinating genre of flash fiction, the art of the ultra-short story that is 1,000 words or fewer. White shows that mastering flash fiction is an indispensable skill-building challenge for any writer. Learning how to compress a story to its most essential elements will make your writing vigorous, evocative and full of emotion — invaluable skills for any kind of writing, including writing novels and longer short fiction. Writing Flash presents a comprehensive introductory course to the techniques of flash fiction, beginning with a rigorous analysis of the mechanics of effective flash stories that will give you new insights into the bones and sinews of all literature. Each chapter also contains challenging exercises that will strengthen specific writing skills, extend your abilities and give valuable practice in the craft of flash fiction. But flash fiction is more than just an exercise. It’s also an elegant art in its own right that can produce stories of startling depth and feeling. 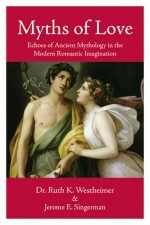 White illustrates flash fiction techniques and strategies by giving numerous examples of some of the best flash stories from great writers. Writing Flash also includes fantastic resources for aspiring flash writers, including tips on publishing and marketing your own flash fiction to build your writing career, plus extensive lists of flash fiction literary journals, award contests and resources for further study. 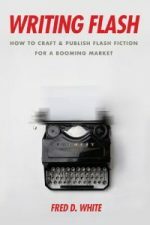 Writing Flash won’t just help you become a better flash fiction writer; this book will help you become a better writer, period. Audience: Professional and aspiring creative writers. 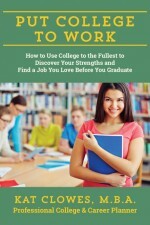 About the Author: Fred D. White received his Ph.D. in English from the University of Iowa. For nearly 40 years White has taught writing courses at Santa Clara University, where he is now Professor of English, Emeritus. 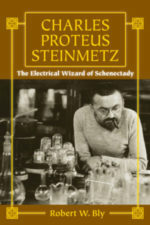 White has published several books on writing, as well as dozens of stories, essays, poems and plays. A veteran police officer gives his thoughtful, balanced views on police shootings, racial profiling, community relations, and every other aspect of policing in Police Craft: What Cops Know About Crime, Community and Violence. Written by Adam Plantinga, the author of the acclaimed 400 Things Cops Know, Police Craft is a thought-provoking and revelatory examination of policing in America, as seen by a working police officer. Plantinga, a police officer for 17 years and a serving sergeant with the San Francisco Police Department, gives an inside view of the police officer’s job, from handling evidence and conducting interrogations to coping with danger, violence, and death. 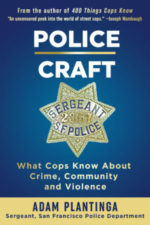 Police Craft explores a wide range of topics related to police work, from the techniques of policing to the culture of the profession, the sociology of crime and criminals, and the psychological toll on police officers. Not hesitating to confront controversial issues, Plantinga presents a police officer’s views on police shootings, racial profiling, and relationships between police and the community — and offers reasoned proposals on what the police and the public can do better. Hard-boiled, humorous, and compassionate, Plantinga wrestles with the complexities and contradictions of a job he loves in which he witnesses so much suffering. Transcending today’s strident pro-cop/anti-cop rhetoric, Police Craft will give every reader a greater respect for the police and greater understanding of the job they do. Audience: True crime and mystery readers, readers interested in police work, readers interested in current events and public policy related to policing, and active, retired and aspiring police officers. About the Author: Adam Plantinga has been a police officer for 17 years and is currently a sergeant with the San Francisco Police Department. Plantinga’s first book, 400 Things Cops Know, received rave reviews from star crime writers such as Lee Child, Edward Conlon, and Joseph Wambaugh and was hailed as “the new bible for crime writers” in the Wall Street Journal. Plantinga lives in the Bay Area with his wife and daughters. Available for pre-sale. 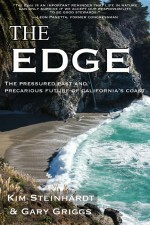 Will ship on publication. 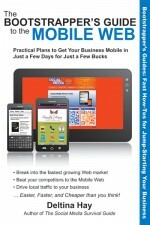 Subtitle: Practical Plans to Get Your Business Mobile in Just a Few Days for Just a Few Bucks. Creating a successful mobile web presence is achievable with the tools found in this guide, without needing to learn a programming language or become a Web designer. Such a presence is now a necessity, rather than a luxury, for all businesses, organizations, and independent professionals to stay competitive. This quick, practical, hands-on introduction to the nuts and bolts of using the mobile web to grow a brand, improve sales, and increase profits is written for lay people and avoids jargon and programming concepts. Time and money-saving solutions are presented, teaching technical novices how to quickly adapt their existing websites to the mobile ones and how to easily create mobile applications without having to learn to program. Step-by-step instructions stand alongside real-world examples of successful mobile-web transitions, and advice on best practices is provided to help business owners, entrepreneurs, marketing professionals, and creative professionals create the presence they need to help their business flourish. 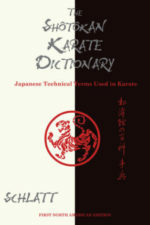 This is the PDF e-book edition! 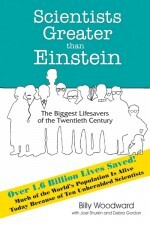 Check out the e-book pdf version of this book! 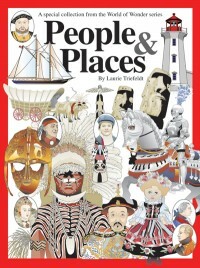 People & Placesis a special collection from the World of Wonder series. 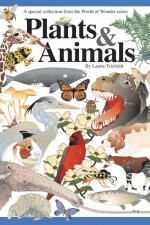 World of Wonder is a weekly illustrated, full-page feature syndicated in over 100 newspapers nationwide. 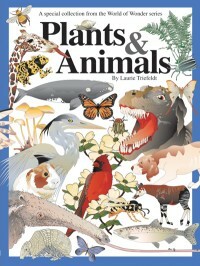 Devoted to exploring educational themes and examining the realms of history, science, nature and technology, it is written in a reader-friendly style and accompanied by award-winning graphics. 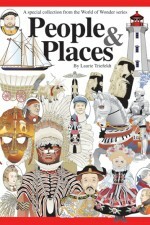 This collection gives the reader a wealth of information on everything from Angkor to Dracula. 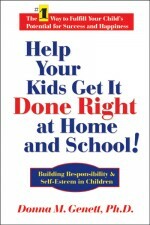 A simple program that helps you build responsibility and self-esteem in your children?. 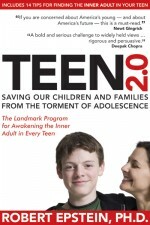 Saving Our Children and Families from the Torment of Adolescence. From the former editor of Psychology Today. How-to writing is the easiest and most lucrative field an aspiring writer can enter— and copywriting legend Bob Bly is sharing his secrets to how anyone can become a successful how-to writer. How to Write and Sell Simple Information for Fun and Profit is a step-by-step guide to building a profitable new career that’s ideal for career changers, retirees, and anyone looking for a supplemental income. You don’t have to be a great writer. You don’t have to be the leading guru in your field. But if you’re curious, enjoy learning new things, and write clearly, you can easily become an expert author who successfully publishes and sells your work. Most writers toil their whole lives without ever getting published. The reason? Foggy writing — writing that’s full of unnecessary, misused, and overused words. Foggy writing drives editors crazy, and makes publishers and agents reject manuscripts at first glance. 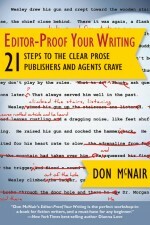 Veteran editor Don McNair lays out an easy-to-follow, systematic method for clearing up foggy writing and producing sparkling copy that attracts readers, agents, editors, and sales in his new book Editor-Proof Your Writing: 21 Steps to the Clear Prose Publishers and Agents Crave. In his more than 40 years as a professional editor and writing instructor, McNair found that most writers make the same mistakes over and over again, and nearly all of these mistakes can be corrected simply by removing specific words. In Editor-Proof Your Writing, McNair presents his classroom-proven, systematic method for rooting out foggy words and phrases, producing clear, vigorous and powerful prose. In just 21 steps, Editor-Proof Your Writing teaches how to edit weak verb forms, strip away author intrusions, ban redundancies, eliminate meaningless phrases, correct passive-voice sentences, slash misused and overused words, and fix other writing mistakes. Editor-Proof Your Writing doesn’t present theory; it shows how to apply knowledge. McNair asks readers to use the first chapter of their manuscripts as a practice text. Each chapter introduces a step to defog writing and then asks the reader to try it out on his or her own work. A superb addition to any writer’s toolkit, Editor-Proof Your Writing won’t just make you a clearer and more grammatical writer; it will make you a better writer — more expressive, more entertaining and more likely to sell your work.